High cotton, high water, high hopes, and low population. The Mississippi River between Memphis and Vicksburg is at its highest level since the historic flood of 1937. Cotton prices earlier this year were the highest since the Civil War. The music and culture of the Mississippi Delta are being celebrated in blues festivals, Cotton Carnival, and a conference called "The Delta: Everything Southern," at the University of Memphis on June 3rd. And, last week, it finally stopped raining and the sun came out for a couple of days. That made it a good time for a Delta road trip down U.S. Highway 61. Better not to wait. At this rate, the Delta will be under water and half of Memphis will be without power. "You don't do the Delta, it does you," Mississippi writer Rheta Grimsley Johnson told me before I left. "Visitors either like it or hate it, no in between. It's the land of drama — black and white, rich and poor, drought or flood." My traveling companions were Jeane Umbreit and her husband Larry Bloch. Jeane is a painter and photographer whose murals of Memphis people and places adorn the walls of the Memphis Room in the main library. In his younger days, Larry was a traveling salesman in the Delta, when the towns had more buyers than ghosts. Our destination was Greenwood. Our music was the blues songs of Robert Johnson, Howlin' Wolf, Charley Patton, and W. C. Handy. Between the stories, side trips, interviews, and pictures, we were lucky to make it as far south as Cleveland. David Cohn's classic line about the Delta is that it starts in the lobby of the Peabody hotel in downtown Memphis and ends on Catfish Row in Vicksburg. A practical definition would put the boundaries west of Interstate 55 to the river and south of DeSoto County. The Delta is celebrated in song and a nice place to visit, but it is losing residents at an alarming rate. Between the 2000 and 2010 U.S. Census counts, Greenville, Greenwood, and Clarksdale each lost 10 to 20 percent of their population, while DeSoto County grew by 50 percent. Our first stop, Tunica, Mississippi, is proof that the money brought in by the county's casinos won't necessarily stem its population decline. Tunica County gets more than $30 million a year in casino taxes. It has a new airport, arena, three golf courses, a picture-pretty downtown, and no city property taxes. But the population is just 10,778, compared to 161,252 in neighboring DeSoto County. But some are going against the grain. 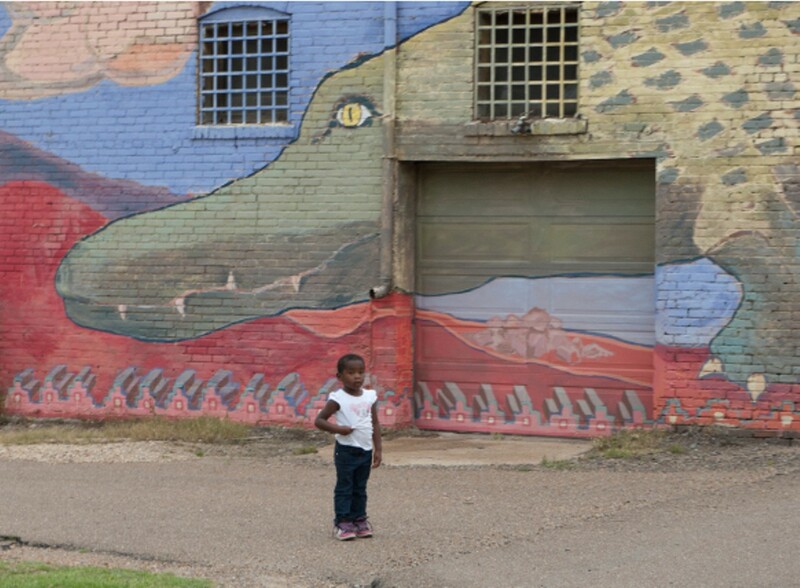 Thirty miles south, downtown Clarksdale is singing, promoting, and nurturing the blues. 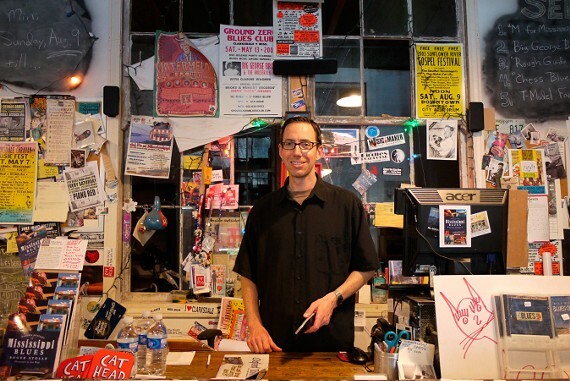 At Cat Head Delta Blues and Folk Art, we met the owner of the store, Roger Stolle. Nine years ago, Stolle left his job as marketing director for a company in St. Louis and moved to Clarksdale. "I moved to Clarksdale to circle the wagons, to mount a defense, to help the last generation of cotton-farming, mule-driving, juke-joint-playing bluesmen and deeply inhale the final breath of this amazing tradition we call Delta blues," Stolle writes in his recently published book, Hidden History of Mississippi Blues. 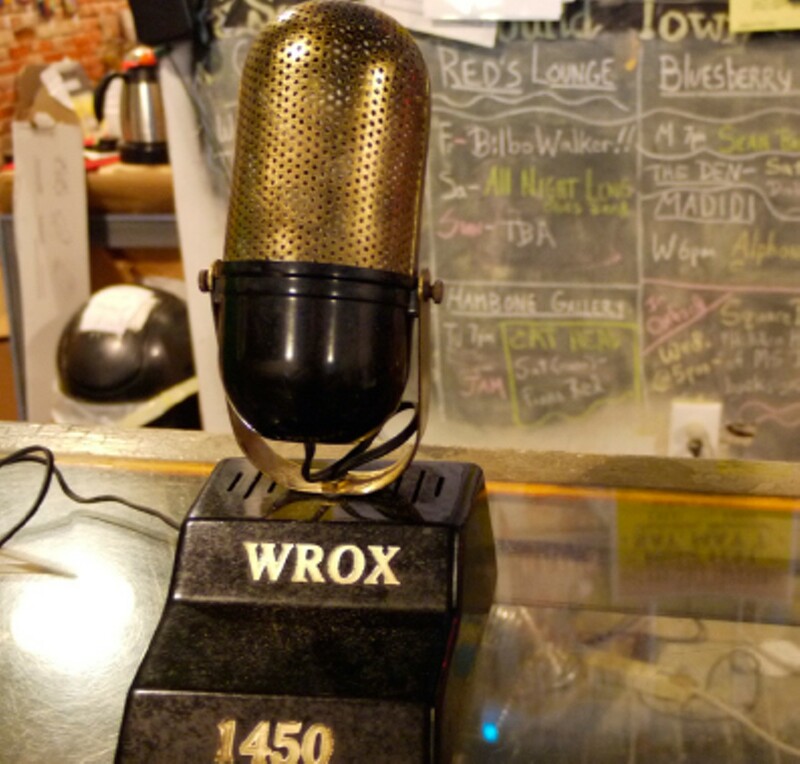 He is the co-founder of the annual Juke Joint Festival in Clarksdale and a one-man answering service, sales force, and blues promoter behind the counter at Cat Head. "The first five years I was here, most of the new businesses downtown were started by out-of-towners and there was little local development," he said. "It seemed like every month somebody was moving to the highway out of town or to Oxford. But in the last year, we have had two successful restaurants, art galleries, and new accommodations started by locals. Believe it or not, we are on a good track now, even in this down economy." 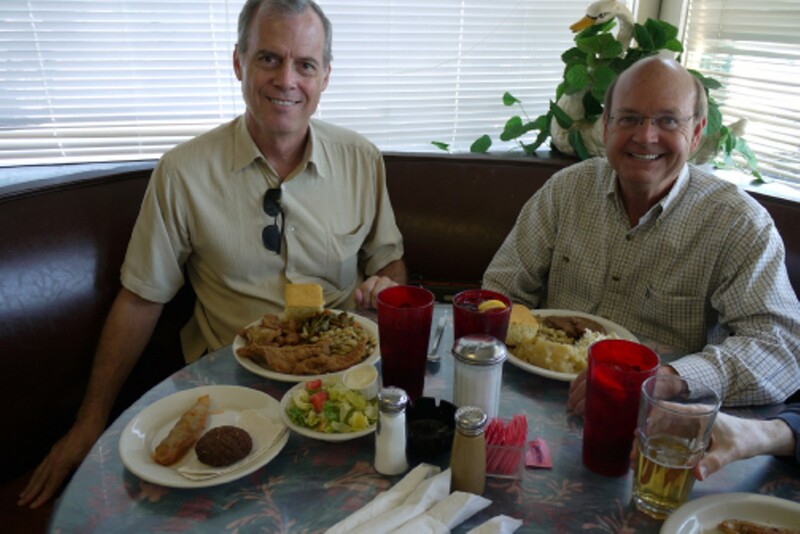 For lunch, Stolle steered us to Chamoun's Rest Haven, a family-owned restaurant where Lebanese kibbie and cabbage rolls share the menu with fried catfish, peach cobbler, and coconut pie. We met Rives Neblett, a cotton farmer and retired lawyer who lives in nearby Shelby, Mississippi. "Our agricultural economy is booming," he said. "But in a boom-and-bust cycle, a farmer's equity could be wiped out in a year." Neblett has a duck club, a hunting lodge, a farm, and he owns a condo in Memphis. His wife was a queen of Cotton Carnival several years back. He has been a Democrat since his days at Ole Miss in the 1960s. One of the defining moments of his life was the day that President Kennedy was assassinated in 1963, and, to his horror and shame, his fraternity brothers stood up and cheered. "I realized that was a cause that had to be fought," he said. He has befriended and supported several of the idealistic young college graduates who have come to the Delta with the Teach For America program. Taking a cue from his friend, Memphis commodities trader and philanthropist Charles McVean, he started a foundation to support schools in Bolivar County and helped get federal grants. The Delta, he believes, has been held back by a "plantation mentality" in the white community and by a black community worried about preserving its political base and either fearful of change or unable to bring it about. 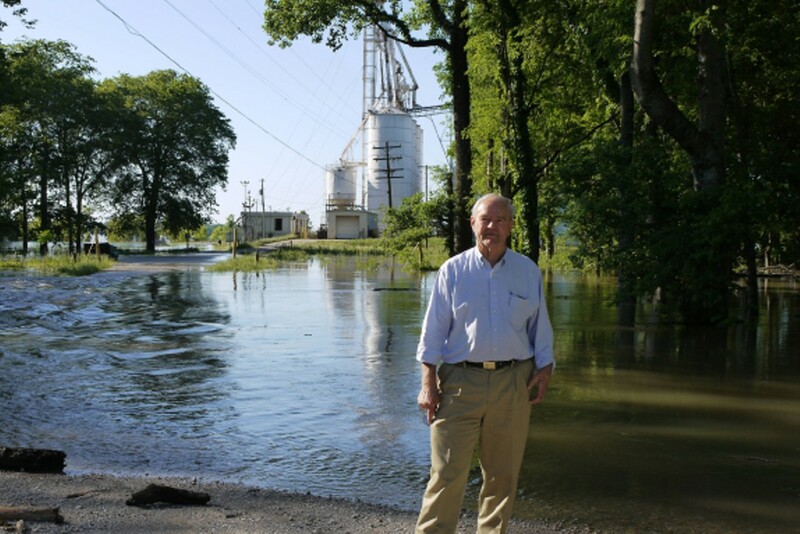 "The Delta has been studied for 35 years, but nobody follows through," he said. That is slowly changing. 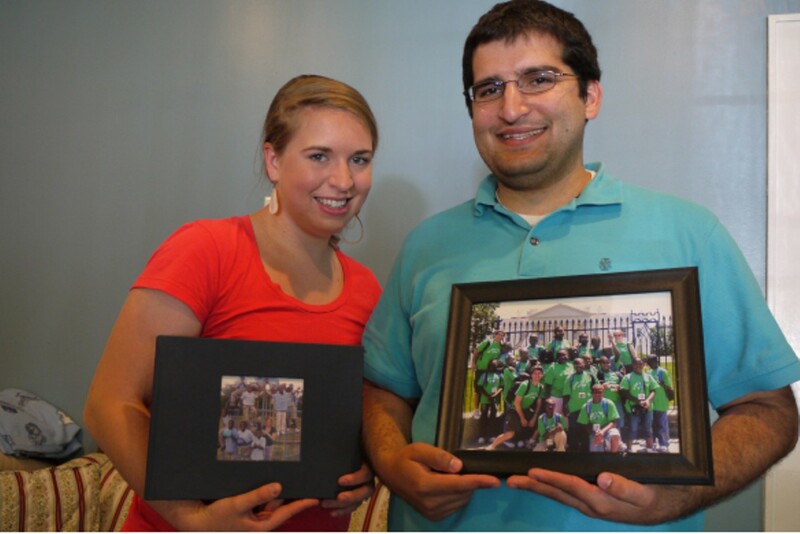 Since 1996, Teach For America in the Mississippi Delta has built a corps of 523 teachers and 160 alumni leaders. In Shelby, we met one of them, Michael Castignola, an activist who probably would have been called an outside agitator 50 years ago. 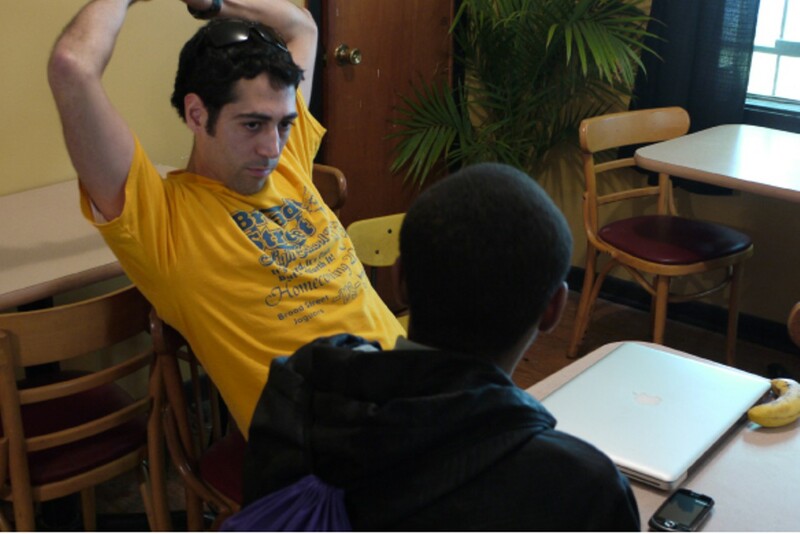 A graduate of NYU, Castignola, 29, left a job in finance with Goldman Sachs to come to the Delta to teach math. After three years, he ran afoul of the school administration and now works for Neblett's foundation. We found him talking with students at a small house across from the high school, where a woman named Keesha serves quesadillas and hamburgers after school. He was helping students with their schoolwork and urging them to attend school-board meetings, ask questions, and take notes for a school newspaper. "I want my existence to be my paycheck," Castignola said. "I would like to be here indefinitely." Just down the road, we met a successful businessman who has done just that. Mound Bayou was founded as an independent black community in 1887 by former slaves. The one and only attraction that brings visitors by the busload is Peter's Pottery, an offshoot of the better-known McCarty Pottery in Merigold. 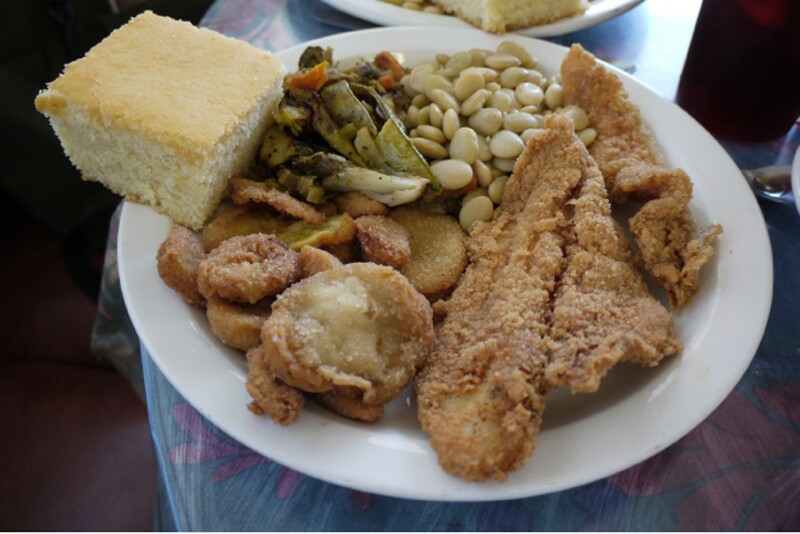 Peter Woods and his three brothers, the sons of a sharecropper, started the business in 1997. Joseph Woods, a retired first sergeant in the military who worked for McCarty for $4 a day 50 years ago, usually runs the place these days. "There's nothing we can't make out of mud," he said. 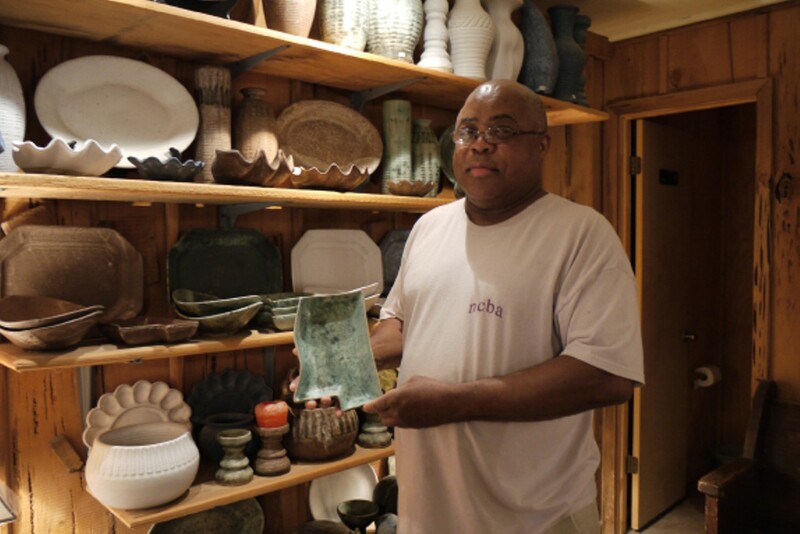 He and 12 employees use 100 different types of clay, fired in 30 kilns heated to 2,200 degrees. They sell out of the unmarked store in Mound Bayou, as well as from retail locations around the state. A week before Mother's Day, there were cars from Texas and Alabama in the parking lot, and customers were crowded at the cash register. Each year the brothers give thousands of dollars in scholarships to local high school graduates. "I tell the college-educated blacks who moved away that I could have done what they did, but I stayed here," he said. From Mound Bayou, it's a short drive to Cleveland, home of Delta State University, a regional hospital, overpriced motels at $128 a night, and trendy restaurants and shops staffed by sorority girls. This modern crossroads is a few miles from one of the Delta's iconic attractions, Dockery Farms plantation and cotton gin, where the red and white Lion gas pumps are forever frozen at 17 cents a gallon and you can prowl in and around the buildings as much as you please, if you are willing to fight the wasps. A historical marker calls it "The Home of the Blues?" with the question mark being an acknowledgment that there are dozens of competing claims. Several of the young teachers who came to the Delta have found a racially mixed cultural oasis and a home in Cleveland. Among them are Baback and Ashley Mostaghimi, who returned to the Delta after fulfilling their two-year Teach For America obligation and picking up master's degrees at Harvard. Baback, whose parents are from Iran, graduated from Johns Hopkins University in Baltimore where he planned to become a defense contractor. Ashley is from North Carolina and graduated from UNC-Chapel Hill. They met in the Delta and got married a few years later. They stayed in Cleveland to fulfill a promise they made to one of their former students. If she would straighten up and finish school, they would buy a house and help her out. So far, so good. With a yard divided into gardens and a chicken coop and a front porch cluttered with stuffed animals and power tools, the Mostaghimis have become an informal hostel, after-school center, counseling center, and all-around support system for students and teachers. Ashley teaches elementary school in Clarksdale. Baback works for a nonprofit. "We bought this house because it is in an integrated neighborhood," he said. "Here, history is integrally important to everything you do. I have to be cognizant that race matters here." Ashley emphasized how isolated, violent, and difficult life is in the Delta. "My kids go through pure hell," she said. "They are phenomenal. And they still show up and want to learn." Two of their neighbors who are teachers are leaving this summer. She predicts that several newly hired teachers will quit during their summer training period and that a third of them won't last two years. "Attrition is inevitable," she said. "I am from the South, had worked in a rural community, and am doing what I want to do. But the Delta really is not a sustainable place for a twentysomething." Some of the colorfully named villages in the Delta have fewer than 300 residents and are close to disappearing. The Mostaghimis have a saying: "Be careful, or you could be the next Gunnison," a vanishing town in Bolivar County near the river. 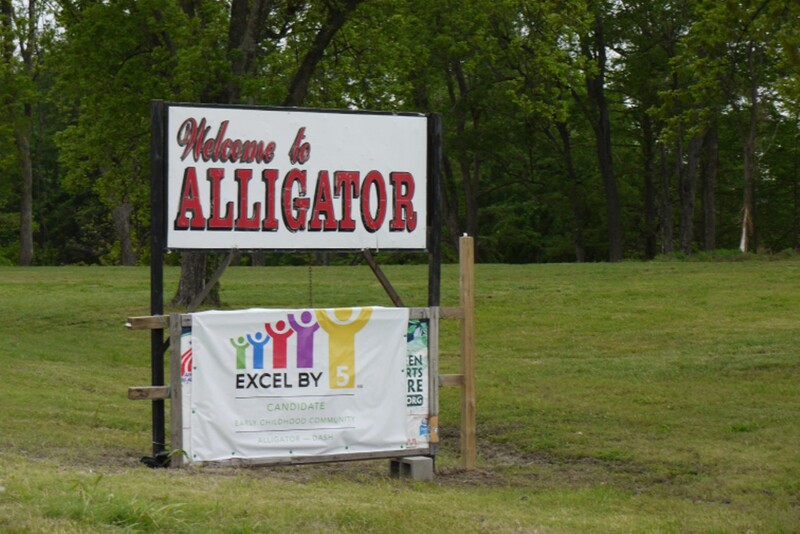 One candidate for extinction is the town of Alligator. On our way back to Memphis, we got off Highway 61 and took a look, drawn by the sign that says "Welcome to Alligator." Like visitors from another planet, we slowly drove into town in Jeane's new white hybrid SUV. A little girl who was standing in front of a building with a mural of a giant alligator looked at us and waved. She was right in the jaws of the beast. It seemed like a metaphor for the future that awaits her. There are alligators in the Delta, but they don't kill people. Daily life is another story.